The Museum of Indian Arts & culture is dedicated to collecting, preserving and promoting Native American traditions of the Southwest.The Museum of Indian Arts & Culture has collaborated with West Elm to develop an exclusive collection of handwoven rugs inspired by design elements from the museum's extraordinary textile and basketry collections. 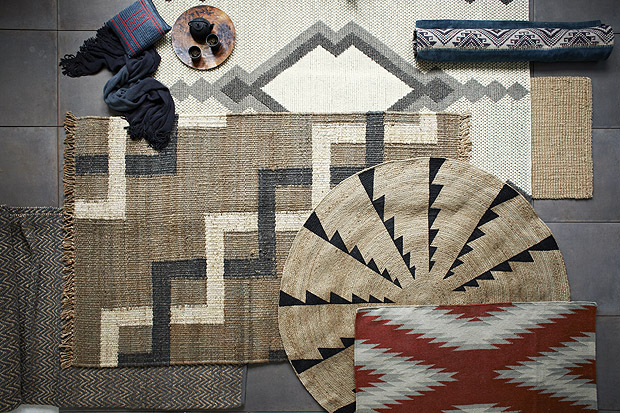 Five rugs inspired by design elements from early 20th century Native textiles and baskets were developed with West Elm. A portion of the sales generated from sales of these rugs returns to MIAC to fund education programs, exhibit design and acquisitions. To learn more about this collaboration and pieces inspired by our collections visit Westelm.com. To explore Native American hand crafted items and gifts visit our own Museum Shop online. 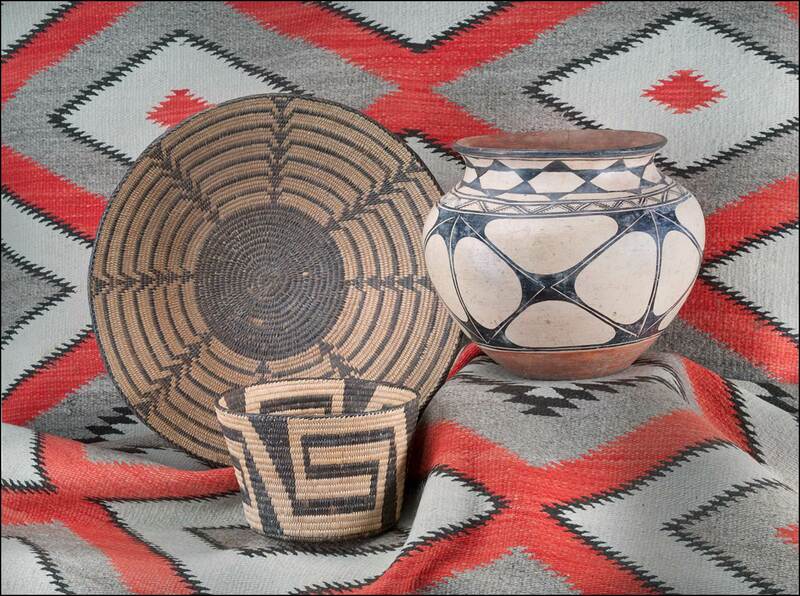 The collections of Museum of Indian Arts & Culture inspire appreciation for, and promote knowledge and understanding of the diverse Native arts, histories, languages, and cultures of the American Southwest. The creative talents of Native artists, past, present and future give purpose to the museum. By actively collecting and preserving art and artifacts made by tribal artists from all time periods, MIAC endeavors to educate its visitors about ancient yet living Native cultures, and provide living artists with examples of their ancestors’ gifts. West Elm Rugs inspired by the MIAC Collection. Below Left Whirlwind rug; Middle historical inspiration pieces from the Museum's collection; Right dragonfly rug. Click for larger images.